Hello! Today I want to show you a fun beginner project you can do to practice blending colors with watercolor paints and markers. If you are a complete beginner to color mixing, it is easiest to stick to either all warm colors (red, yellow, pink, orange …) or all cool colors like I did (blue, green, violet …). Some colors when blended together turn into “mud”, making a neutral like brown or gray. This is where understanding the color wheel comes in handy! For more about the color wheel, visit my earlier post Colors Aren’t Scary :). For this project, we will try out both flat brushes and round brushes. Round brushes have a teardrop shaped bristle that comes to a point at the end, and flat brushes have rectangular shaped bristles that are, well, flat on the end. Pretty easy to remember! It’s good to have a variety of sizes of each. Your brush size depends on the size of the area you are filling in. If your brush is too big, you risk getting paint where you don’t want it but if your brush is too small, you will see all the little strokes and the paint won’t cover evenly. I started first with an outline, drawing my design in pencil on watercolor paper and then tracing over it with a waterproof black fine-liner pen (Sharpie fine points will work – You do not necessarily need a fancy art pen, though my preference when I do watercolor and ink work are these bad boys by Staedler.). 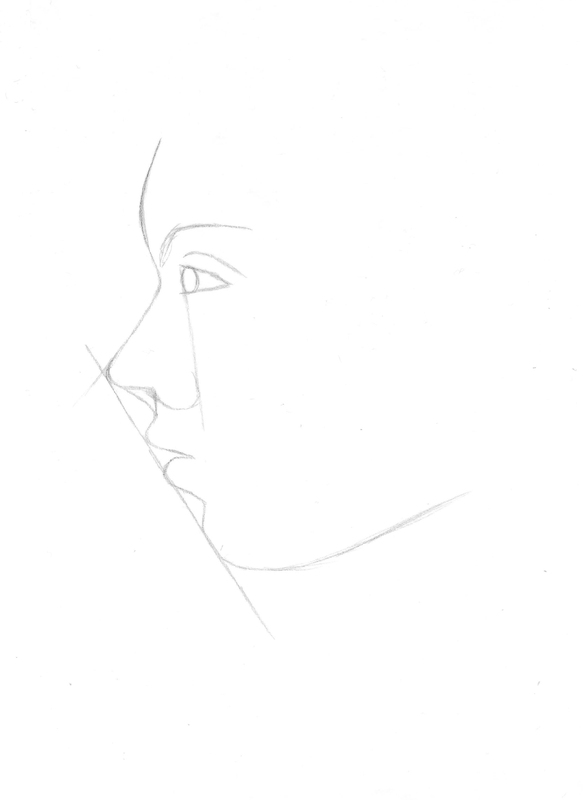 You can draw your design however you want, or if you want to practice this technique without the added pressure of drawing, feel free to print this outline out and use graphite paper to transfer it right onto a piece of watercolor paper (Don’t have graphite paper on hand? Just shade over the back of your printout with a pencil, lay it on top of your watercolor paper, and trace over the lines and it will work the same way, though a bit more labor intensive.). With watercolor, you want to start with the background and move to the foreground, and you always want to work lightest to darkest. It’s all about layering and building up colors since the paints themselves are translucent. In this more simplified project, we will be focusing just on blending this time, not layering. Still, working with the background first ensures that if any background color does find its way into the waves, which it inevitably will, we can just work right over it later and you won’t even notice by the end. Starting with the background, you want to choose a couple of colors (I used a cornflower blue and a cerulean blue.) and water them down so that they are consisting of mainly water with a small amount of pigment. Then you want to use a larger round brush and start filling in the space using circular motions. This will give our background wash a bit of texture, so that it has a hazy, cloud-like appearance rather than just flat streaks. I applied the cornflower blue on the bottom half of my sky and the cerulean on the top. Because both colors are wet, they should bleed into each other and blend together in a pretty seamless gradation. Be sure to overlap the two colors slightly where they meet. If they aren’t blending enough, you may also rinse off your brush and using the same circular motion run over the line where they touch with your damp brush to work them together further. Color blending is one of the foundation skills of painting with watercolors, but it takes a lot of practice. Good thing you are about to get a lot of it! We did a textured blend for the background, but within an individual space inside our waves, we are now going to practice some flat blending with the goal of getting our colors to merge into as smooth of a gradation as possible. Now we are going to use a medium sized flat brush. A flat brush will be perfect for the smooth effect we need and will also be easier to keep inside the edges of our geometric shapes. 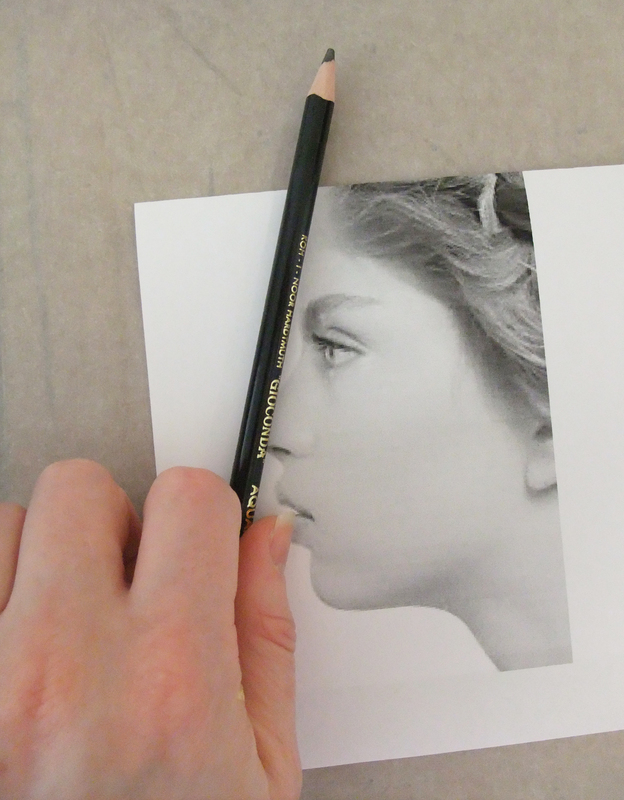 You can tilt the brush so you are only using the tip rather than the whole side for narrower areas. Pick 2 different colors, and start painting one color on one end until you’ve gotten to about halfway across. Rinse your brush, and paint in another color starting on the opposite end, overlapping in the middle. A unique quality watercolor has is that when one color touches another while it is still wet, they WILL bleed into each other. In this case, that is a good thing as using wet-on-wet color with watercolors makes for some pretty low-effort, seamless blending. Still, watercolor can be finicky and things don’t always go as planned. I purposely filled the shape in so that there are darker, patchy areas and a harsh transition between the two colors. This happens sometimes, but can be easily rectified by going back over the uneven area with a damp brush. Be sure to always paint in the same direction, following the length of your shape. Blending with watercolor markers is a similar process, but you need to be a bit more controlled with your water application so that you don’t completely lose the effect of the ink. I love watercolor markers because you can get such bold contrast, but a little bit of ink goes a long way, and with too much water your separate colors will just swim all together into one mass. I cannot emphasize enough, quality also matters. If you get cheap markers, chances are they won’t blend nicely no matter how skillful the artist. They don’t need to be officially called “watercolor markers”, they just need to be water soluble so they will run when wet. I love using Tombow’s water soluble brush markers. You also need to think about the values of the markers you are using. Deeper colors will spread a lot farther than paler colors, and can overpower. I have started with a darker color, a royal blue, and a lighter more muted color, a sage green. Start by scribbling a bit of each color on opposite ends of your shape. You do NOT want to shade the entire area in. Again, a little bit of ink goes a long way when water is added. Then, still using a flat brush you want to dip your brush in some water, tapping off the extra on a nearby paper towel. Wet the ink on one side and work it into the middle of the shape. Rinse off your brush, and wet the ink on the other side, again working towards the middle where they will meet. The wet colors will again, flow together and seamlessly blend pretty much on their own once they meet, staying darkest where you first laid down the ink. You can see above that a gradation is apparent, but the blue has pretty much taken over as the main color you see. Trying the process again using the same 2 colors, but shading in only a tiny bit of blue and more of the green, you can see we get a more balanced effect where the pure green color is still highly visible. You can also create a gradation with only one color. The beauty of watercolor is the depth of value that can be captured from one single hue, simply by adjusting the amount of water added. To do this you would apply a bit of the same color on each end in a darker or medium value (mixing less water with your paint). Then, rinsing off your brush, add some water to the edge of the area of color on each side, again spreading towards the center from each end. The color will remain most saturated at the ends, and will be the lightest (most watered down) in the center. If at any point you add too much water, your gradation is in danger of all just running together into one flat tone. If this happens, you can blot the area with a paper towel to lift the excess water (and some of the pigment), and then blend right over again. You don’t want to see any “puddles” pooling on your paper … that is a sign there is too much water being used. Also keep in mind damp is ok, but if you are filling in a new area next to an old one that is still very wet, the colors will bleed together over your lines. Sometimes it helps to use a blow-dryer to speed along the drying process. Or, you could just work on filling in areas that aren’t touching each other until each spot dries. The paint air dries pretty quick. Here is a reminder of the final image! It is the same blending process for each section, which is what makes it good practice. I filled in some spaces using the markers, and some with paint. I kept lighter colors on the crests of the waves, and alternated medium and dark tones throughout the body of water, making sure not to fill in too many of the same colors right next to each other. It always feels good to still have some sort of finished product after practicing techniques, and I guarantee you will start to see a difference in the first couple spaces you fill in versus the last! Remember, it’s all about playing with color. Have fun! First Art Snacks Box, First Art Journal Entry! So, I was having a really rough week y’all … and then I got this in the mail. I had gotten an artsnacks subscription for Christmas, and being a virgin to subscription boxes in general, was excited to see what it was all about and hopefully discover some awesome new products for art making! And a cat joke: What do you call a painting by a cat? I decided to do what a lot of artsnacks subscribers do after receiving their box, and join the fun of challenging myself to create a little picture using only the products in my box for the month. This is also a great way to test out the materials, especially if they are unfamiliar to you. Another fun thing about artnsnacks is the fact that the colors of the products you receive are totally random … The royal blue was lovely, but that olivey/sage green and bright orange? – maybe ok separate but kind of yikes together. So, here is my unique green penguin, swimming beneath the chilly arctic waters. All in all I thought this was an interesting first box, especially for someone like me who is primarily a drawing based artist but also holds a lot of love for watercolor. I’ll start with my favorite products, which were hands down the mechanical pencil and Tombow pen. I own a lot of black liner pens in a huge range of line weights, but I had never owned a pen whose line weight is dependent on the pressure you apply. This is a fantastic feature for adding more depth to outlines, and it is pretty intuitive. The brush tip is firm, and it is easy to control the weight you want. I.e. – it doesn’t suddenly “blob” out a big fat black line with the slightest pressure. The mechanical pencil has a fantastic eraser which is a huge plus – The quality of your eraser sometimes matters even more than the quality of the pencils you are using! The rubber grip, besides having a cute name, practically gives your fingers a massage as you are drawing – even for someone like me who holds their pencil wrong ;)! Next, onto the Aqua Pens … The colors are super saturated and these are obviously artist grade. These were marked as a staff favorite. I have to say though, as far as pens that can be used with watercolors I still prefer Tombow’s Dual Brush Pens. The Aqua Pens seemed to not blend as well as with water as the Tombow ones I am used to – you could still see the original sketch marks though the color did spread with water. I noticed they washed better when I worked on smaller areas at a time without letting the ink dry as much in between. When you want more of an illustrative look with super BOLD color that doesn’t fade with the water, however, these would be perfect. My assistant at work /slash/ really cool art friend /slash/ art educator teaches an art journaling class and has been trying to get me into starting an art journal. Another surprise Christmas gift I received was lo and behold, a mixed media art journal! It’s a sign. I’m a big reader, so, in addition to my monthly artsnacks challenges, I am going to play around with journaling some of my favorite quotes from books I’ve compiled. With my first two, I kept them mainly illustrative with a lot of white space but I am going to do more with texture/mixed media backgrounds for my next one, whatever that may be. P.S. The answer to the joke was a paw-trait. P.P.S. I may be so opposed to the orange and green color combo due to new home renovation trauma. This was what our mud room looked like when we moved in. Colors Aren’t Scary! Understanding The Color Wheel. A new Artshop semester has started at Creative 360. One of the biggest concerns my students bring to my attention in classes is “How do I know which colors to use?” What colors can they mix together, and what colors basically turn to poo the moment they touch each other? Everyone probably has some vague memory of the color wheel from way back when in elementary school art class, but few remember what it actually is aside from a pretty rainbow circle. Primary colors are like the color gods and goddesses. They are colors you don’t mix anything to get, they just are, and they are used to create all other color life. See the starred sections above, red yellow and blue. In between the primary colors, the color wheel shows you what will happen if you mix two of them together. For example, in between the red and blue space are various shades of purple, depending on if you mix in more red or more blue. If you mix all 3 primaries together, you get a neutral color (brown or grey/black depending whether there is more warm red or yellow, or more cool blue present). Contrasting colors are colors that are opposite each other on the color wheel, note the black connecting line. Contrasting colors as a rule look amazing together due to how boldly they play off of each other (There are a lot of sports teams I can think of whose colors are blue and orange for example, and I don’t even follow sports!). However, if you mix them to try to make a new color, they will completely neutralize each other into a grayish or brownish color. Remember how all 3 primaries mixed together make a neutral? Well, think of why this would happen when you mix orange and blue, contrasting colors, together… Orange is made with red and yellow, add the blue, and you have all 3 primaries mixing. Complementary colors are colors that are right next to each other on the color wheel. Because they are very similar, these colors always look pleasing together as well. Look familar? The artwork on the left uses a contrasting color scheme of red and seafoam green. On the right a complementary color scheme is used with all different shades of purple, and some pink and dark red accents. These color pairings aren’t just for artwork, they work well in interiors and clothing as well. Below is an interior idea based on my watercolor painting “If The Ocean Dreamed” that I mocked up on Polyvore, which is a really fun interior and style designing website to play around on. All items you can add to your “set” include links where they can be purchased as well. Once you’ve got the gist of it, you can become a C O L O R M A S T E R and even get tricky and combine both contrasting AND complementary color schemes in one, like below. This is another fun set I put together on Polyvore using clothing I am selling on zazzle covered in my original artwork. This tank top features my piece, “Be My Eyes”. In styling this outfit, I used the contrasting color scheme of yellow and purple with the gold and plum apparel, but also added in some pink with the accessories as pink is a reddish hue that would be next to purple on the color wheel. The last type of basic color scheme is triadic. A triadic color scheme uses three colors that are equidistant from each other on the color wheel. Using only the primary colors red, yellow, and blue would be a triadic scheme as they are spaced equally apart on the color wheel. Another triadic scheme is green, orange, and purple, which I’ve used in the interior below. Appropriate that I will be going on an adventure to Lowe’s to collect paint chips shortly after I post this as my boyfriend and I will be moving from an apartment into a new home by mid June, and this means …. I can paint the walls! I have to end this post like a proud art-parent with a selection of my Artshop students’ work from my watercolor class last semester. Looking forward to teaching another great class! Eyes have always been my absolute favorite thing to draw, and I tend to accentuate them in all of my artwork. 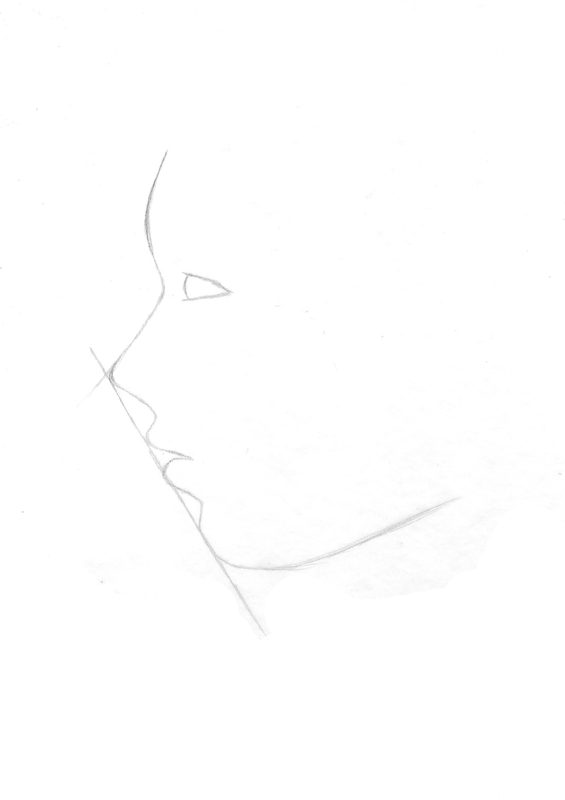 They can also be one of the most difficult things to draw, and it takes a lot of practice to get them right. There are a lot of picky little details to pay attention to. When we begin drawing an eye how we “think” we should, without really observing an actual eye’s appearance as if we have never seen one before, we tend to end up with a drawing like below. Generic football shape, outlined individual eyelashes, harshly contrasting pupil and highlights, and those pesky little lines jutting out all around the center like a kid’s drawing of the sun. In reality, an eye’s darks and lights are much more subtle and blended, each person’s eye is a completely different shape, and unless we are drawing a huge zoomed-in eye filling an entire 18×24″ piece of paper, you wouldn’t actually see individual eyelashes. I’d like to share my tricks of the trade with you. Grab a piece of paper and follow along. It will be fun, I promise! Don’t worry about doing everything “perfect”, just enjoy sketching. Every artist does things slightly different, and the more you practice you may discover some of your own “tricks” that work for you. 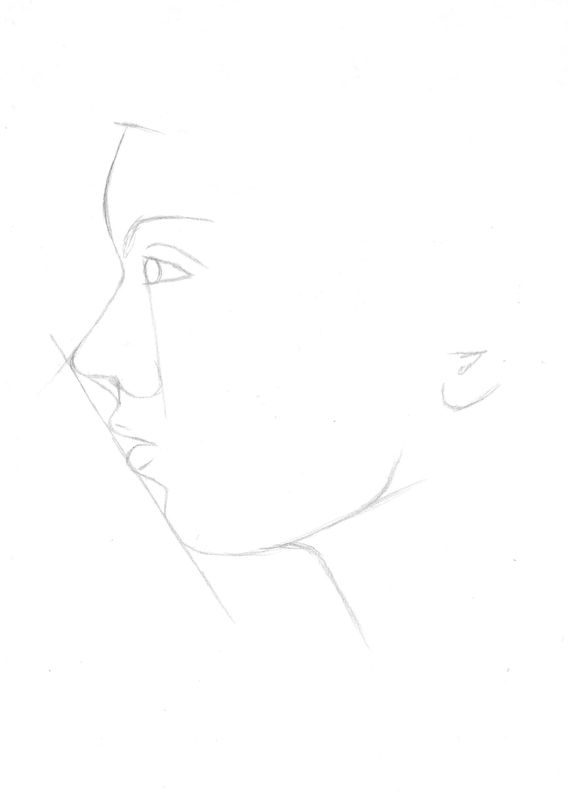 Lightly outline the contour of the eye. Don’t just draw an oval with half circles above and below it. 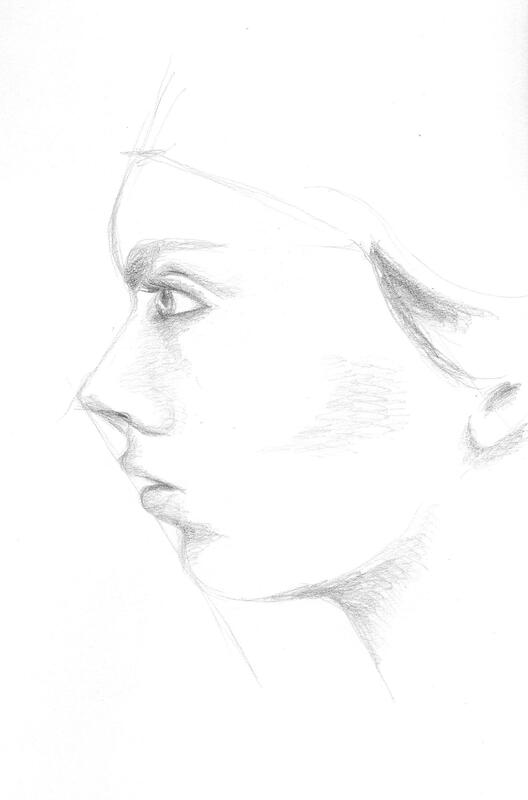 Pay attention to the exact curvature of the unique eye you are trying to draw (photo references are always good.) Is it wider on one side than the other? Does the eyelid dip down drastically or does it curve more gradually? 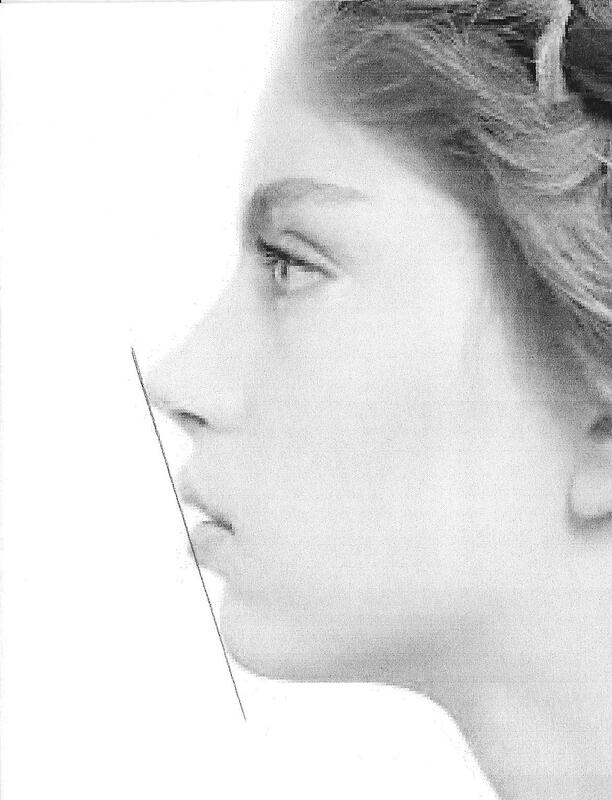 Are the curves of the eye and eyelid soft and smooth, or more angular? Is the eyelid rounded or more flat on top? Is the fold under the eye parallel to the bottom eyelid, or does it droop diagonally? 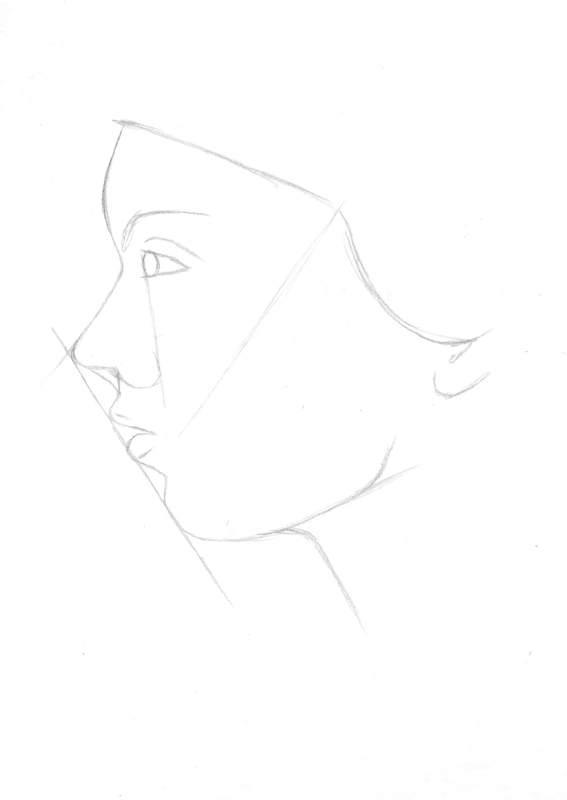 Sketch lightly, as you don’t want to see harsh outlines through your shading. Shade the outside perimeter of the eyeball. The darkest shading is always at the two corners of the eye, and gradually fades as you get closer to the iris. There will also be a deeper shadow underneath the eyelid since the lid overlaps our eyeball, blocking the light from reflecting as much up top. Shade around the iris, again with slightly deeper shading closer to the top eyelid. Even if you don’t explicitly see shadows near the iris in your photo reference, the white of our eyes are never really pure white, and you will get a much more realistic look if there is a gradual transition between the iris and the white of the eye, rather than going from fully colored in iris to stark, clean paper in the white of the eye. This step helps the iris look “settled” into the eyeball rather than looking as if it is “hovering” on top if it. Add your darkest shading on the top of the iris. This should be a shade darker than your darkest value that you used previously underneath the eyelid when you shaded the white of the eye. Think of a crescent moon facing downward, with the thickest shading up top, getting thinner and then altogether disappearing as it trails down around the edges of your circle shape. Add in your pupil and reflections. The reason we do this next is because we want to have the reflection areas mapped out before you get to shading the rest of your iris. You can go in with an eraser and add highlights by removing shading afterward, but this can be messy and end up smudging work you don’t wish to be smudged. I find it easier to just leave the highlights white to begin with. The location varies by light source if you are using a photo reference. Without a specific reference, it is safe to add two highlights, one on top and one on bottom at a diagonal to each other. Fill the pupil in dark black. This will be your darkest value. Shade around the pupil using the same value you used to shade your crescent moon around the top of the iris, one step lighter than black. Again, this anchors the pupil inside the iris so it doesn’t seem as if it is floating on top. This gradual gradation from dark to light makes the separate parts appear as a whole. Fill the remainder of the iris with a medium value. Again, we want all our value transitions to be gradual, so get a little lighter when you begin shading around the edges of your highlight areas. While we don’t want radial stripes circling the inside or our iris, we don’t want to smooth all the visual texture out of it either, as the striations of dark and light we see are part of the deep beauty of eyes. Literally “scribble” some slightly darker shading shooting out from the pupil in the two areas between our highlights. Again, please scribble though it may seem odd and scary; we don’t want neat, individual lines extending from the pupil. Add the tear duct by simply finishing the shading around your eyeball, cutting off the little teardrop shaped dip in the inner corner. Shade your eyelid! Shade the darkest in a thin line over the crease you originally outlined. 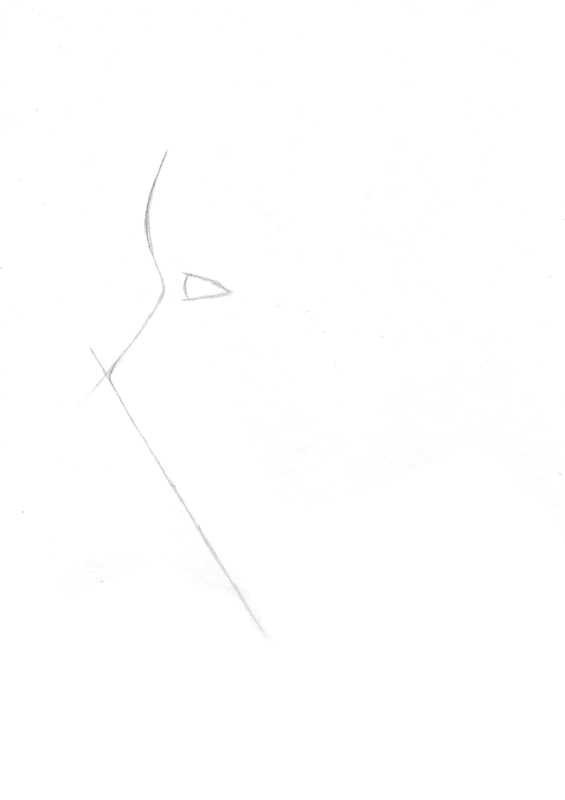 Don’t just trace your line darker, shade by moving your pencil back and forth swiftly in short strokes over this line. Above this, shade a touch lighter to again make a gradual transition from dark shadow to white paper. Shade darkly also over the curved line directly above your eyeball, the edge of the eyelid. This will provide a foundation for the eyelashes, which we will add later. Shade along the bottom eyelid like this also. Shade the bottom crease under your eye. This is not a direct “fold” so it should be lighter than the shading for the eyelid since it is less in shadow. 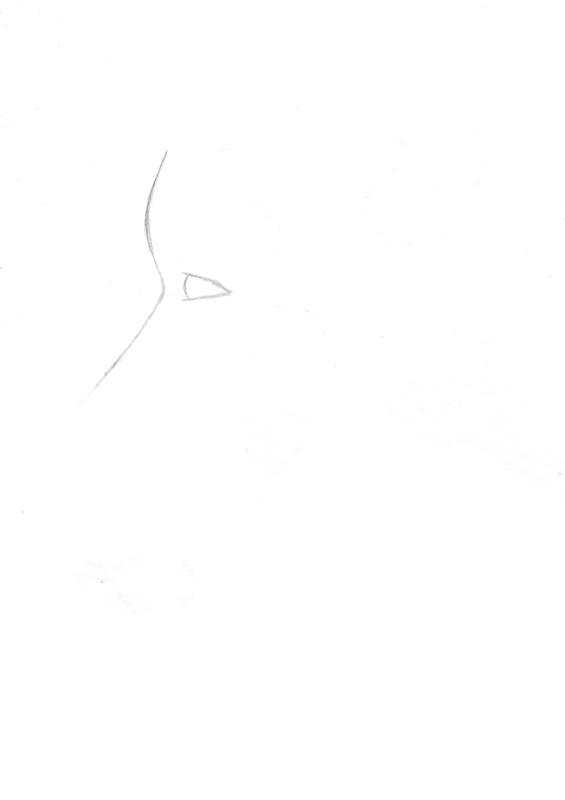 Shade deepest along the line you originally sketched, and shade lighter around this line on top and bottom. Extend the shading up to the outer corner of the eye to really show the skin curving. Add some light shading under the dark crease of the upper eyelid. We’re going to scribble again! Add some jagged shading pointing out from the top and bottom eyelid where the eyelashes will go, more so on top than on bottom. Do this in a medium value. Now, you can go over and add some individual curved darker lines sticking out to add some detail to your eyelash area. Don’t make them all the same length, and try to curve them – no straight lines poking out!  Add a bunch overlapping each other using swift, light strokes with your pencil. They should be dense and close together. These are not hard and fast “rules”, and once you’ve practiced the basic guidelines you can twist them to create entrancing eyes in your own unique artistic style, both realistic and more comic or stylized. 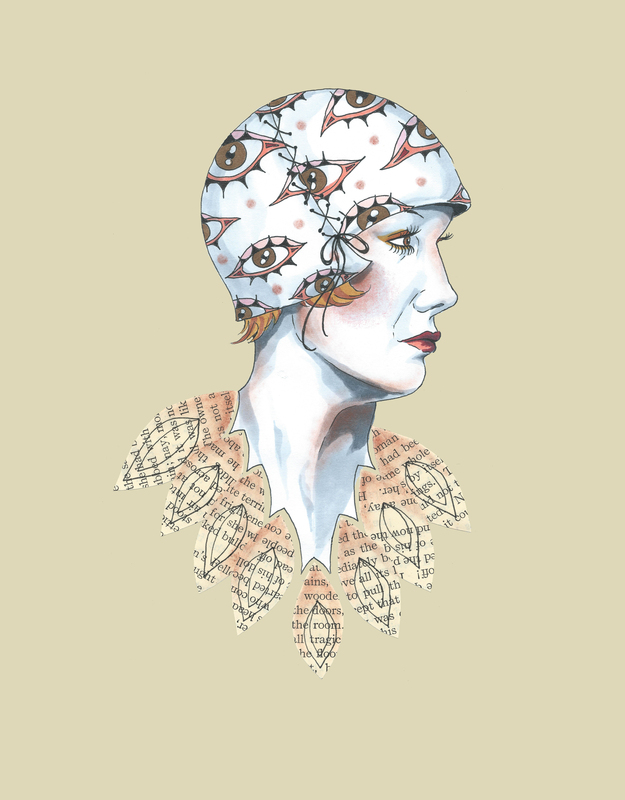 Speaking of eyes, I just designed a new pattern for Redbubble covered in glamorous eyeballs for your enjoyment. Check out all the cool new products featuring my digitally drawn pattern Mascara Tears here! Feel free to throw a comment my way if you have any other drawing questions, I’m always open for giving tips. Any best practices other illustrators out there have found helpful? Don’t hesitate to share! I have always been a 2D based artist, not for lack of trying to branch out. I can make a 2-dimensional plane on paper look 3-dimensional, but when it comes to actually constructing a 3-dimensional object … my brain just does not work that way. I studied interior design in college, and I remember dreading the 3D model portion of each semester-long project. This is the one and only photograph I have of any of my models, and it is taken in aerial view because that was literally the only acceptable angle I could manage. At least this one wasn’t cut out of a Lucky Charms cereal box. Yes, I really turned in a model covered in pictures of colorful, Leprechaun themed marshmallows. Yes, it was sad. Now they have 3D printers for this crap. For other artists out there who only travel in the world of 2D, it can be easy to feel stuck in a rut materials-wise. After all, you can make sculptures out of anything. If you think outside the box, “flat” art on paper or canvas doesn’t have to be limiting. Here are 10 ways I’ve found that can spice up your current drawings or paintings, no matter what style you enjoy working in. Adding pattern based text, small print from books, magazines, or the newspaper, automatically adds not physical but visual texture to a piece. It is a simple, intriguing way to add the appearance of greater detail to your piece, whether it is ripped and layered in the background or cut into shapes to fill in focal objects in the foreground. The meaning of the words don’t have to be important. Or, you can choose theme appropriate text and emphasize certain words to add to your piece’s meaning. This is a popular technique borrowed from art journaling and found text poetry. 2D doesn’t have to mean completely smooth and flat. Oftentimes painters paint with a palette knife, slathering on thick layers of paint to create an uneven surface that raises and dips to create visual interest. Gesso can also be used to build up an uneven surface on canvas. Another option is applying mixed media elements to paper to create a textured surface. In the piece above, I crumpled white fabric and dipped it in glue, applying it to the surface for the ground. I crinkled and rolled strips of book pages for the raised texture in the tree trunks and branches. Varying the surface sheen in a piece is a way to once again increase the visual interest, thus drawing viewer’s eyes and keeping their attention. Metallics are definitely something you want to use with restraint, but when not overdone they can really elevate a piece. It is harder to tell in a photo but in the drawing above, I used silver prismacolor for both the sleeves on her dress and the streaks in the pattern on the brim of her hat. Adding elements of color amongst an image of mostly black and white is a technique inspired by photo-manipulation. Photographers have been tinting black and white photos since long before Photoshop was ever conceived. Our eyes are naturally drawn to contrast, and including a bright color or two within a sea of black and white provides a “surprise” for the viewer. I may be a bit biased because eyes are my favorite part of the face to draw or paint, but then there is that famous saying, “eyes are the windows to the soul”. There are quite a few articles floating around online about a scientific study that found that staring into someone’s eyes for 10 minutes straight can even cause hallucinations. All this suggests that eyes themselves are something of an intense element. Whether depicting people or animals, using visual elements in your piece that guide the viewer’s eye to meet the eyes of your subject is sure to keep viewers locked on your piece longer, and to create a more dynamic composition. 6. Don’t Ignore The Background. I used to be guilty of being a huge background-ignorer. Now, you don’t want a fully fleshed out, detailed, photo-realistic background all the time, and in some pieces there is a lot to be said for white space. But, there is a difference between a background looking purposefully understated to emphasize the main focus and a background looking incomplete, like the artist just ran out of ideas and didn’t want to bother. There are two pieces shown above, one from 5 years ago on the left and one from 2 years ago on the right. Notice the difference something as simple as some softly outlined trees makes. The background is still mostly white, but it looks complete. This is a hard one for me, because I honestly hate collaborating. I’m the kid in school who dreaded partner assignments. I always wanted to work on projects alone, even if it meant I had to do triple the work. I have a hard time letting go of control and not getting to make all the creative decisions myself. However, you learn so much from working with other artists, especially if their style is the complete opposite of yours as was the case in the two collaborations above. Do I necessarily like the collaborative pieces above better than the work I traditionally do on my own? To be honest, nope, but that’s not the point. I practiced techniques and styles I never would have attempted otherwise, which has given me ideas in other pieces I’ve done on my own. Not only is keeping a sketch journal super stress relieving (the above was me relieving some of my fun relational stress by comically depicting how I felt in the moment), but it provides an arsenal of recorded ideas and references to use and combine in future pieces. Life is busy, and I strongly believe we forget most of our best ideas because they happen spontaneously when we are in the middle of doing something, and we think oh I’ll remember it later and of course that never happens. Making yourself carve out a specific time to sit down and sketch may be good practice, but it isn’t when you’ll get your best ideas. One of my assignments in Drawing 101 way back in freshman year of college was to create a collage, and then draw straight from it. This technique is a great way to organize the elements in a piece, and visually construct your conceptual vision. You end up with juxtapositions of disparate elements that you may never have placed together otherwise. This comes back to one of those things I learned through reluctant artist collaboration. I am a clean edged, smooth lines kind of person and I always used to look at smudges and drips as mistakes, not a tool an artist could use on purpose. Now, I am in love with it and every piece I create that includes watercolor has dripping or bleeding somewhere in it. For the longest time throughout art history, the purpose of creating a drawing or painting was to fool the eye into thinking what it was looking at was real, especially before photographs. The informality of declaring to the world, “Look! This is made out of paint, see the brushstrokes, see the dripping?” shakes up a piece, and the viewer’s expectation. In this particular piece above, the surrounding world was supposed to look as it would through the eyes of the subject, a child. The sketchy, imperfect outline of the colorful buildings behind help emphasize that. Step out of that artistic rut and try something new. Other 2D artists out there, what do you do to add interest to your own work? What draws you to a piece when looking at a 2D work?